The Galápagos is one of the most amazing places on Earth. With a unique position in our understanding of the process of evolution, we have probably all seen countless programs about the islands, but nothing can prepare you for the experience of actually being there. 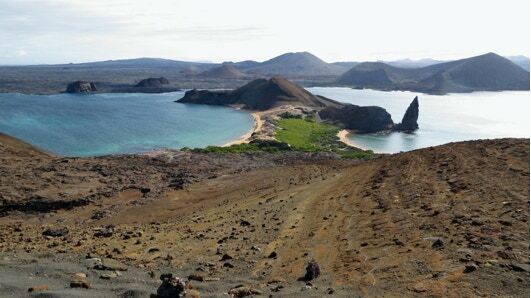 Located off the coast of Ecuador in South America, the Galápagos islands are volcanic in origin and straddle the equator. As such, they are subject to numerous ocean currents which affect the distribution of life that lives there. There is nowhere else on the planet where you can dive with whale sharks, hammerheads, manta rays, fur seals, sea lions, Mola mola, cormorants, penguins and marine iguanas, not to mention shoals of thousands of fish - all in one week. With over 400 photographs and an hour of video, we take an in depth look at the diving and some of the amazing sights to be seen on shore in the Galápagos.